For the second year, Glimmerglass participated as a collection site for the Opportunities for Otsego Holiday Basket food drive. We offered participants $1 off a ticket per can donated. The food Glimmerglass collected will be added to that of other donation sites to help feed families in the Oneonta-Cooperstown areas. Glimmerglass is a small piece, but each and every piece is essential to complete the big picture. 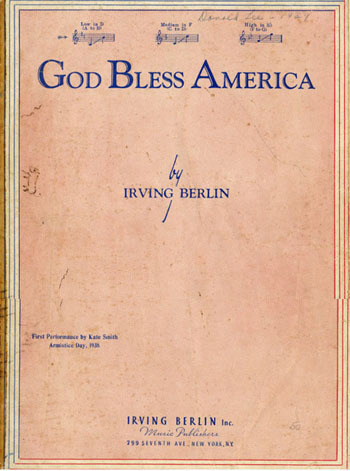 Irving Berlin, who wrote the music and lyrics to last summer’s Annie Get Your Gun, also composed what many call the second (only to the National Anthem) most patriotic song in our country’s history – God Bless America. This popular tune has netted more than $10 million since it was written, and not a penny of it went to Berlin or his estate. 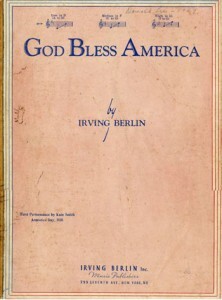 Berlin arranged for all royalties generated from the song to go directly the Boy Scouts, Girls Scouts and Campfire Girls, insisting that he shouldn’t profit from patriotism. This one act has provided a great deal of financial support to these organizations for more than 70 years. There are many ways to donate to non-profit organizations, whether it be items, money or time, and all are appreciated by recipients. How do you give back?